My mom may not appear in that video, but since she is the only person on earth who owns a smartphone and still manages to capture and upload videos that look like they were shot on a flip phone from 2005, I can only conclude that she is the person who shot this video at Johnson’s party. I hope she had a good time! 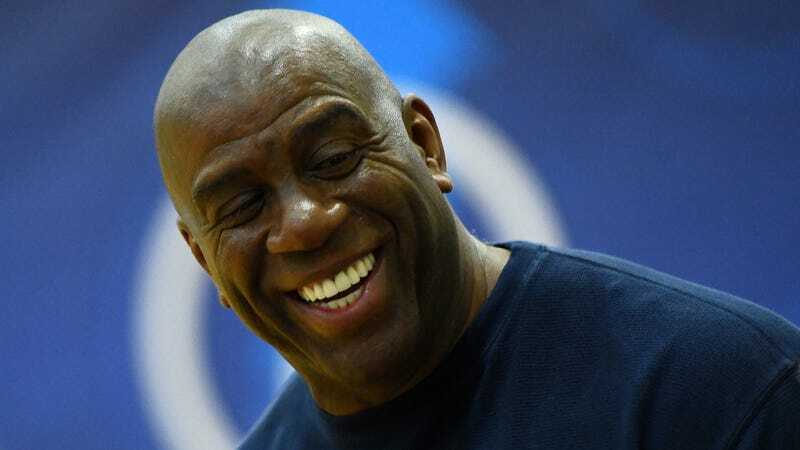 Magic Johnson On Idea Of Being Able To Trade Luol Deng: "Hahaha, We Wish"